2017 was an amazing year for OfficeR&D. 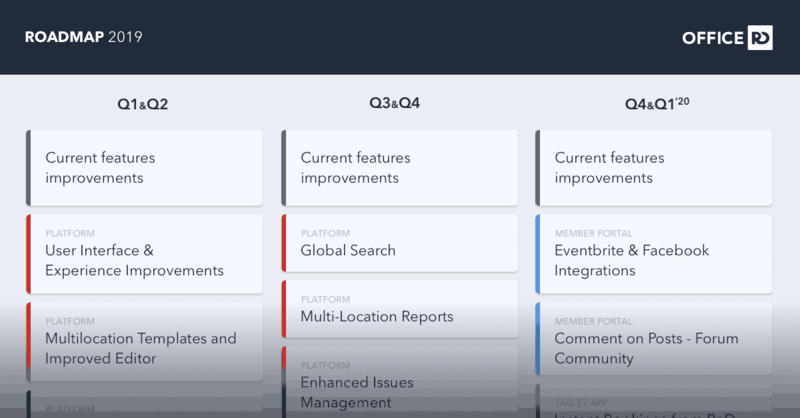 We released a lot of great new features and improvements. You can connect with me at miro@officernd.com if you want to discuss our roadmap. I’d love to hear your thoughts and ideas. Every feature links to an item in our dynamic roadmap where you can subscribe for updates. We are more committed than ever to providing the best and most complete digital user experience for your members. That’s why a big part of our Roadmap for 2018 is geared toward your Members. Website Integrations – connect your Marketing Website via Members & Events Widgets for WordPress as well as new inquiry form. User Analytics – track your members’ behavior and online presence in the Portal and the app. Please, note that these are direct integrations we’re planning to work on over the next months but we can’t commit that they will all fit into 2018. In 2018, we’ll be aiming to connect more and more points of your shared workspace. Of course, a huge part of our planned work for 2018 is to continue improving all the existing functionality, integrations and better support you and your growing businesses. Even more, we’re already working on massive User Interface & Experience face-lift that will span through all our products, from the Management platform, to the Mobile app, Member portal, and all Extensions. It is going to be Great! These are a lot of items, right? Sure, they are. But our growing team and drive to completely connect your flexible workspace motivate us even more to continue our amazing product journey. ? 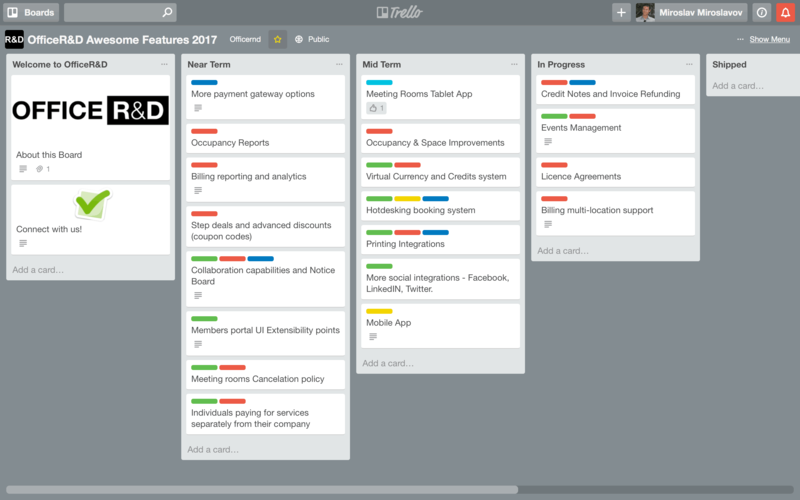 Have a look at the roadmap board and let us know your thoughts.